Pineapple Sherbet earrings were inspired by and made for my Summer Fun Collection. One of my favorite things about the hot summer weather, the excuse to go get something cool and refreshing. 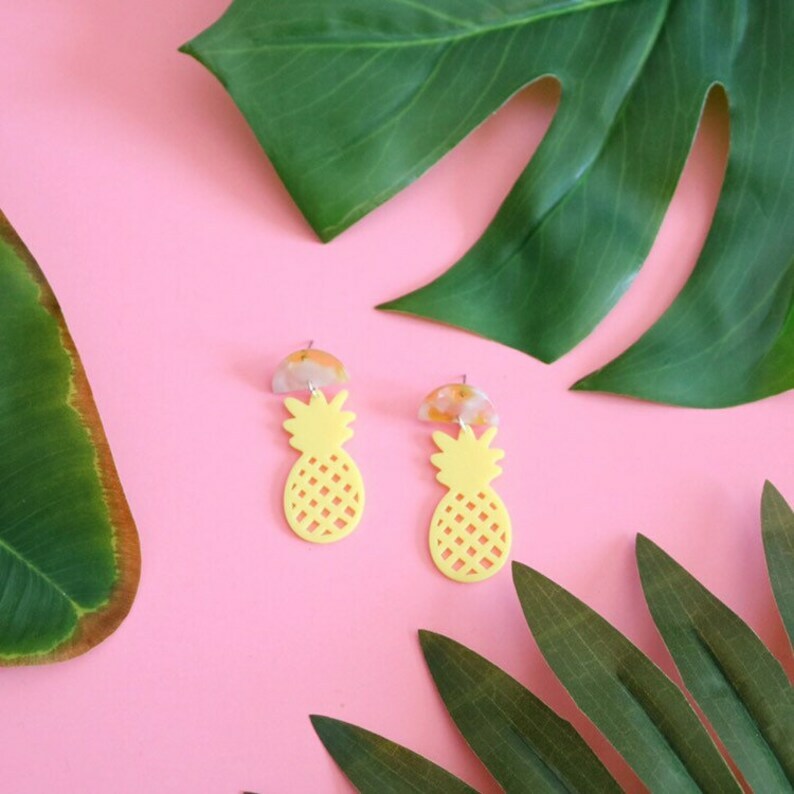 Pineapple Sherbet earrings are just that, cool and refreshing! Give a pop of cool to your look year-round with these cute pieces! Pineapple Sherbet earringsare made with vibrant yellow pineapple acrylic cutouts and a half circle light pink and transparent yellow acrylic half moon shaped posts. These are perfect for frequent wear because they are very light and fun to wear! A definite must have for your accessories collection!